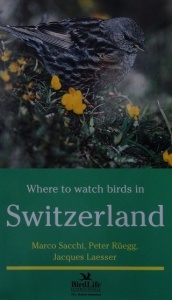 Famous for its alpine bird specialities such as Wallcreeper, Alpine Accentor, Alpine Chough and Nutcracker, Switzerland has much to offer any birder. This is a guide to 45 of the best birdwatching sites with species information, suggested times to visit and details on transport and accommodation. Each site has a map with itineraries indicated so that no time is wasted once there.